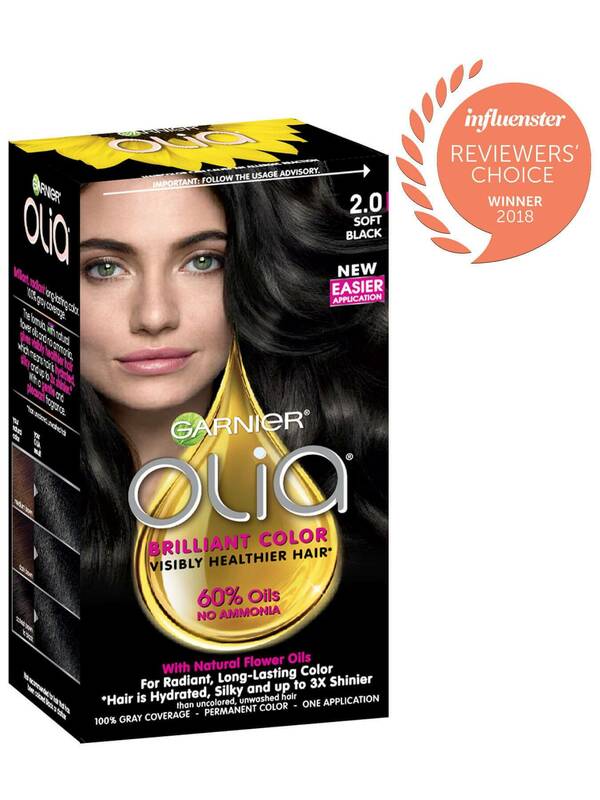 Garnier Olia shade 2.0, “Soft Black,” is one shade lighter than Olia shade 1.0 and has a natural tone. It provides 100% gray coverage. 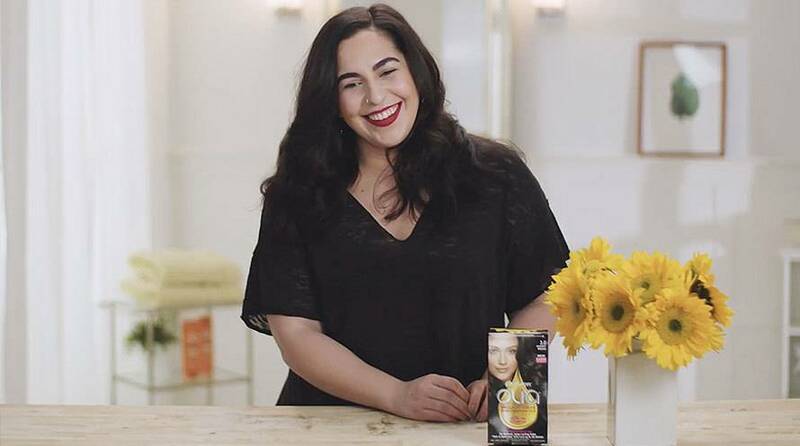 Shade 2.0 is best for anyone with natural hair between light brown and black. If you prefer a lighter color that still reflects naturally, try shade 3.0, "Darkest Brown." Rated 5 out of 5 by skyB91 from Soft Black is such a nice shade I really like Olia! I originally used the color Darkest Brown which gave my medium to dark brown hair a more black color. I finally decided to try the Soft Black shade and I LOVE it. 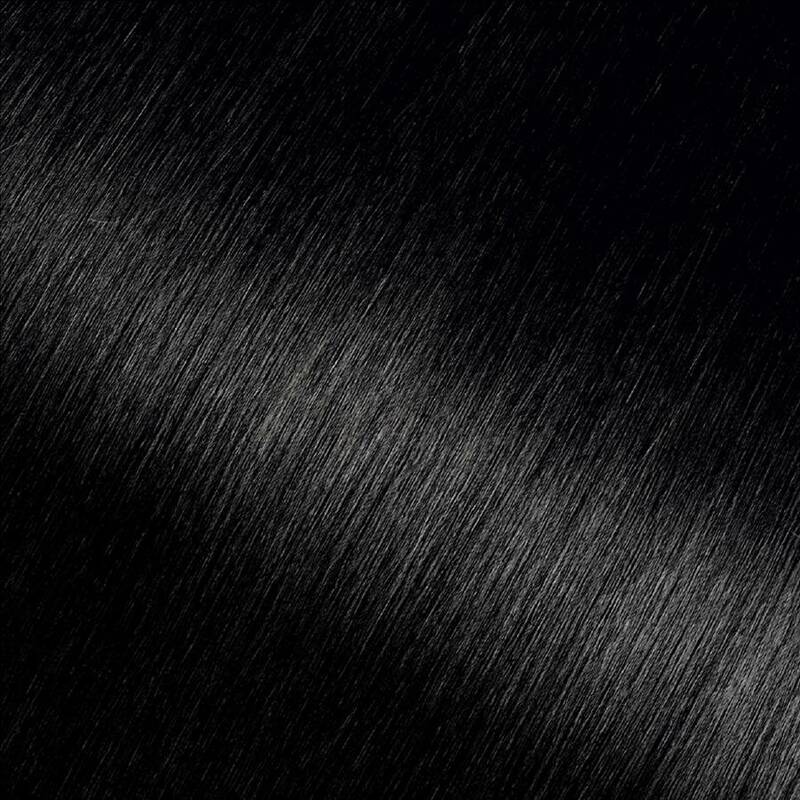 It's not jet black and it's very natural looking, even in sunlight. I have pretty fair skin and was afraid of looking "washed out" but this color is beautiful. Application was super easy. Absolutely NO smell at all.....conditioner is nice and soft. I will continue to use Olia...love the color. My hair is so soft! Rated 5 out of 5 by thimblewad from I don’t usually buy box hair colour, as I prefer to go to a beauty supply store and purchase from a wider range of products. That being said, I purchased this in a pinch because it is ammonia free and friends have said they liked it. The colour turned out as I expected, the smell is pleasant. My main complaint is the size of tube that the developer comes in is too big, and half of the tube is just air, which makes dispensing the developer more of a struggle when you want to make sure you have gotten it all. Rated 4 out of 5 by jessicad25 from Makes hair noticeably softer. Smells great. Price is mid range. Staying power is great even with daily washes. Rated 3 out of 5 by geen1991 from This is the first time in years that I actually colored my hair at home and after trying this hair dye I dont think I will again. It says its permanent but it's not really because I feel like my hair just went back to the prior color it was.